An applicant for disability benefits is not eligible to receive benefits if an alcohol or drug addiction prevents the applicant from working. An applicant for disability benefits is also not eligible to receive benefits if a disabling condition is the result of continued use of drugs or alcohol. However, applicants may be eligible for benefits for conditions caused by drugs or alcohol if their use is not the primary factor contributing to the disability. A qualified disability attorney may help an applicant establish that his or her use (or abuse) of alcohol or drugs was not the primary, or, more legally appropriate, material cause of the disabling condition. 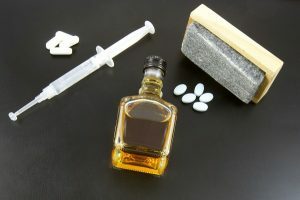 The Social Security Administration (SSA) has specific regulations for situations where applicants may have excessively used alcohol and drugs. If continued substance abuse is material to what disables an applicant, Social Security will not pay disability benefits to the applicant. The main inquiry centers on whether the use of drugs and/or alcohol was an essential, material, cause of the applicant’s disability. An applicant is not eligible to receive benefits if an alcohol or drug addiction prevents him or her from working at a job. The result is the same if a disabling condition is the result of continued use of drugs or alcohol. The main thing to note here is that benefits may be received for conditions caused by drugs or alcohol, as long as drugs or alcohol are not the main contributing factor to the disability.